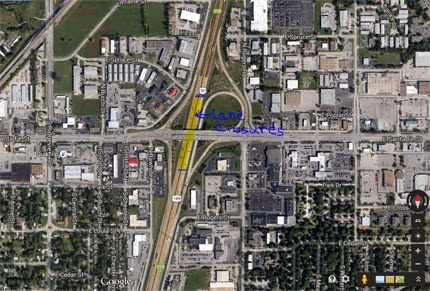 KANSAS CITY, KAN. ---- Northbound and southbound I-35 on either side and under the Santa Fe Street Bridges will be reduced to one open lane each direction as the City of Olathe installs roadway lighting on the bridges beginning at 7:30 a.m. on Saturday, October 25 and will reopen to all traffic by no later than 4:00 p.m. that same day. The lane closures are required to allow the contractor to attach lighting conduit to the Santa Fe Street bridges over I-35. All ramps at the I-35 and Santa Fe Street interchange will remain open. Traffic will be direct through the project work zone via signage and cones. There will be no lane restrictions or speed reductions throughout the duration of the lane closures. Drivers should expect delays during the weekday lane closures and may wish to use alternate routes, if possible.